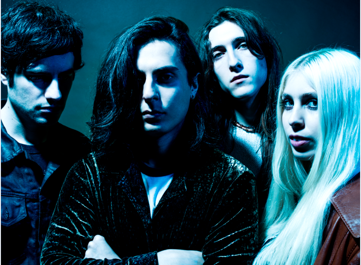 Making continuing waves, South London's INHEAVEN return with their hazy new video for latest single Drift. Shot entirely on super 8mm film, the band deliver a colourful display of fun fill mayhem as they dash around the city and let off smoke bombs in fields. "When you listen to our song Drift it should make you feel warm and fuzzy - does everything happen for a reason or are we just drifting along? We knew these melancholy feelings had to be represented on screen. We shot it all on Super 8mm which has a very rich texture, and experimenting with analog format pushed us to concentrate on each frame rather than relying on post-production". Take a watch for yourselves below along with a full list of the band's upcoming tour dates.